DeWulf's periodic coffee table is hip to be square. 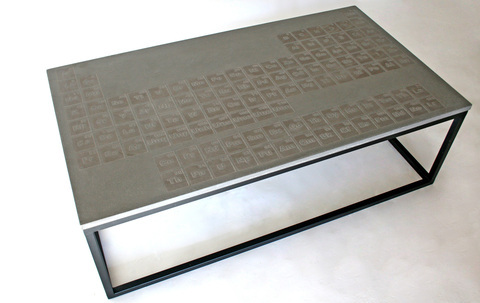 He blends wit with master craftsmanship - the periodic table of elements is slightly indented into the surface. The piece's streamlined design adds a sleek, contemporary feel to its surroundings.